Well today I thought it was high time I updated you on the progress I have made on the Granny Squares Quilt that I have been working on. 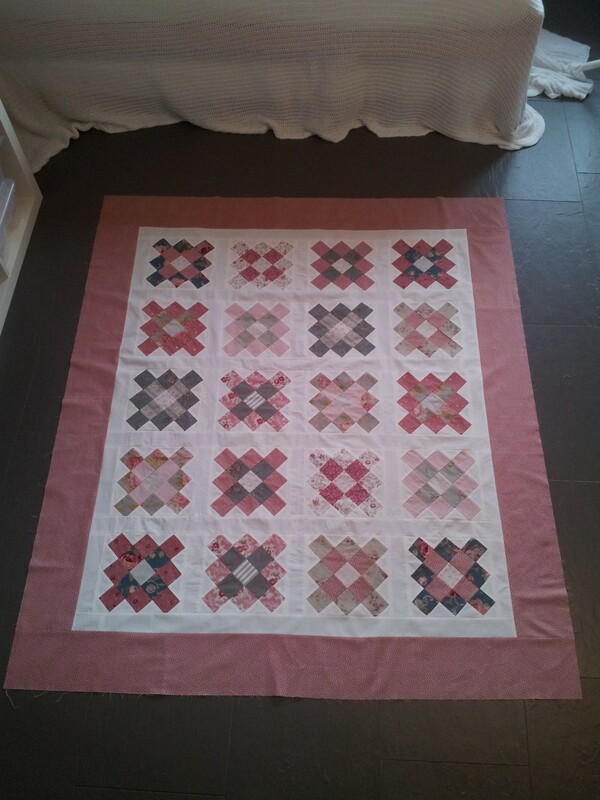 Well after completing all my blocks, some prettier than others, I went about the task of adding the sashing. I was so nervous that I was going to run out of the white polka dotted fabric that was a bit older and that I hadn’t specifically bought for this project almost a year ago, but luckily I had more than enough. With that finished it was off to the quilt store for border, binding and backing fabric. As all the fabric was from my stash, there wasn’t much choice if I wanted the fabrics to be those in the quilt blocks. Reluctantly I went with a pink border, though from a fabric that I really loved, another polka dot, with a spin. As I said before, some of my blocks weren’t really to my liking, but it was amazing how the simple action of adding the borders made it all come together. Suddenly I couldn’t keep my eyes off of it. Of course I was so happy that I had actually finished the quilt top, but I was also so amazed by how it was transformed by those pink borders. 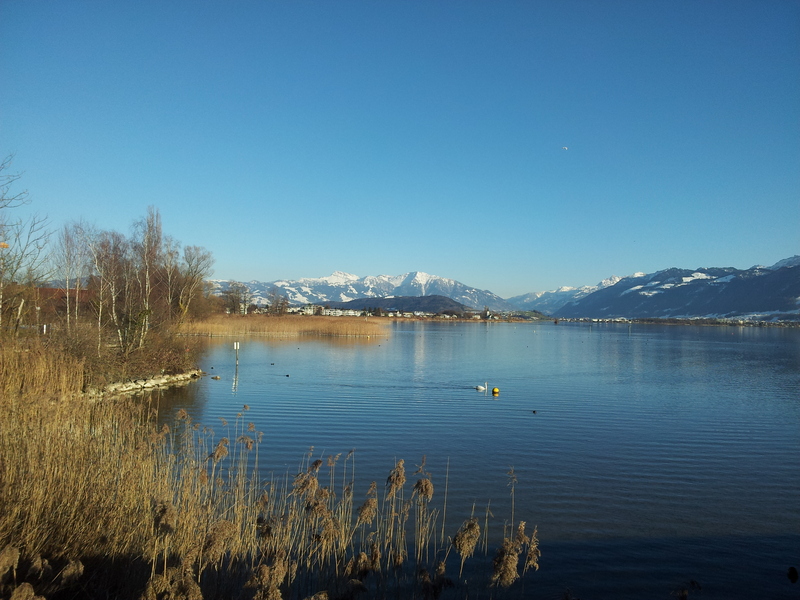 Before I go, I just thought I would show you a little Swiss eye candy from my quilt shop excursion. 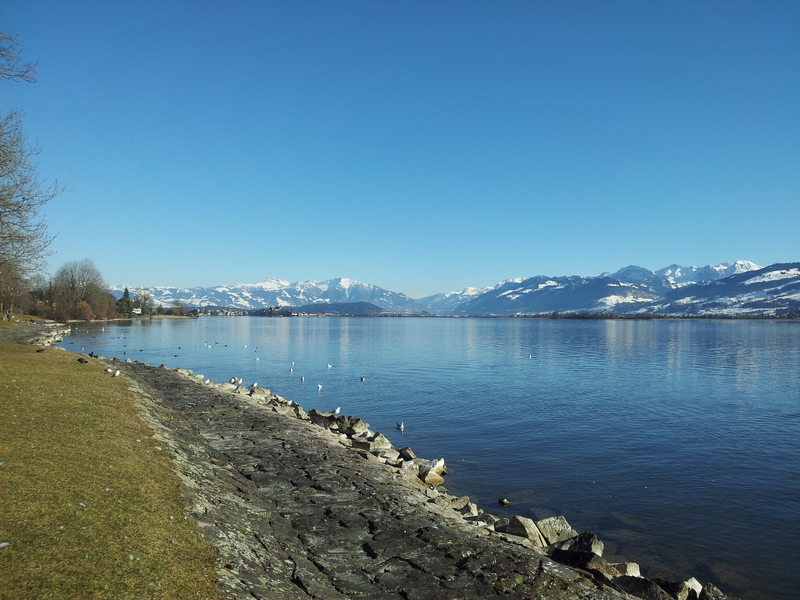 It was such a lovely day that my friend and I turned it into a real road trip, going into Winterthur for lunch at Tibits, a local vegetarian chain and then crossing over to lake Zurich, where we enjoyed gorgeous sunshine and mountain views the whole afternoon! 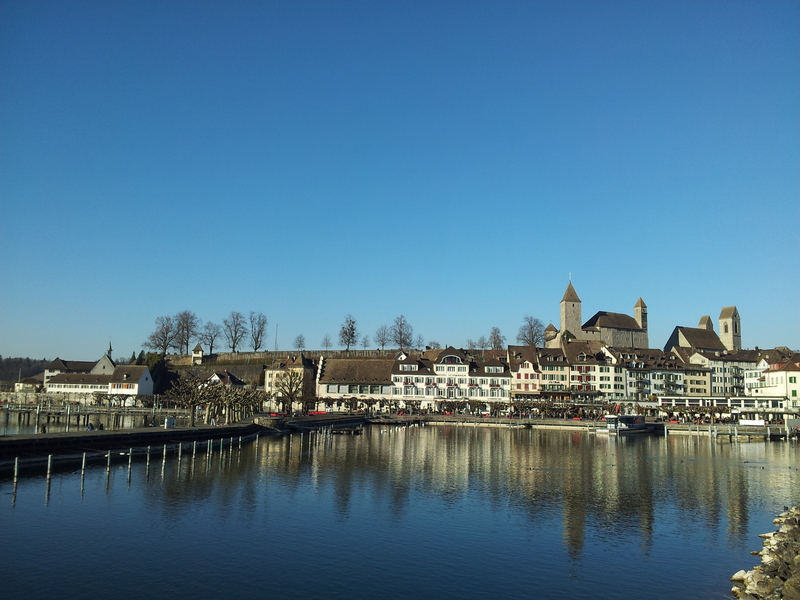 Stopping off in the old town of Rapperswil, canton St. Gallen, we decided to take a walk along the beautiful wooden bridge . 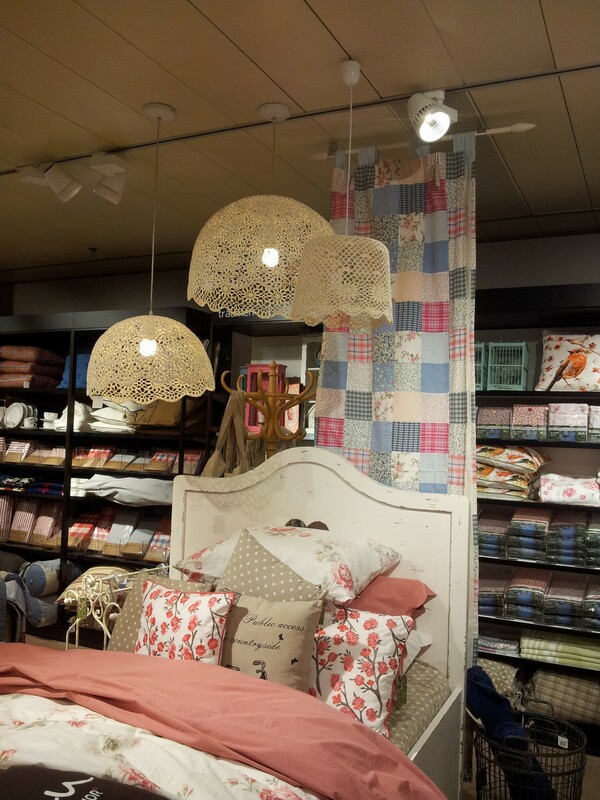 But of course, we couldn’t resist a little browsing in Manor (a department store). I was surprised to find that they had some simple but tasteful quilts, which were an inspiration. 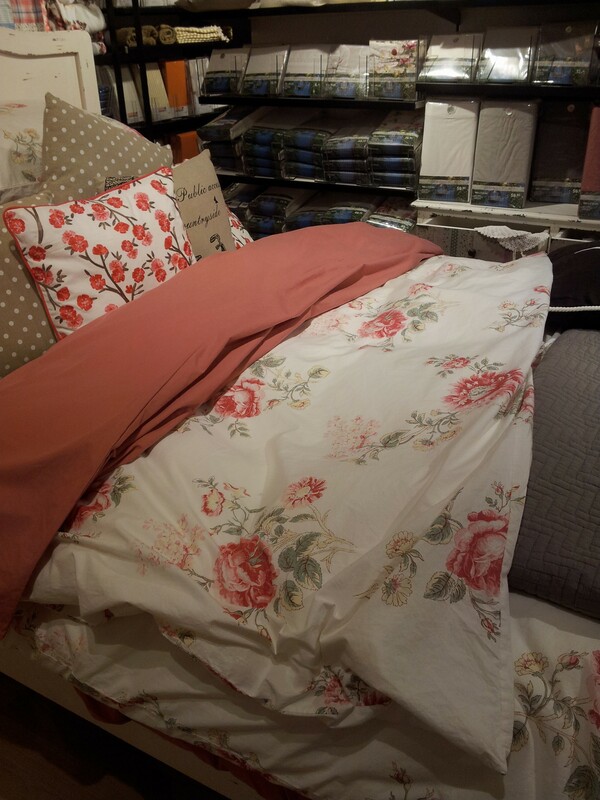 These sheets will certainly be making it to my house this spring! Your quilt looks so lovely, Jodie! 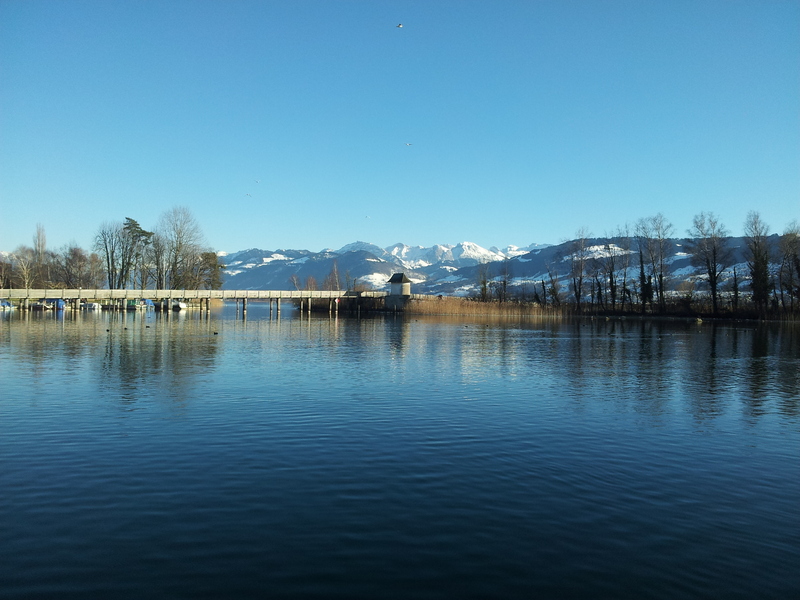 And those views – fabulous pics, thank you!! Many thanks Teje!! I am so glad this quilt is for me! Have a great one!